When it comes to testing, just say no. Most states have provisions to allow parents to opt out of standardized tests if they have a reasonable objection, but as increasing numbers of people are taking advantage of this option, the schools are starting to get a bit jumpy. In Wayne County, West Virginia, for example, some students are feeling pressure to conform or be cast out. The affected students told their story on the Tom Roten radio show, and said that the school tried to intimidate them into taking the tests, even though they are not legally required to. The obvious question is, why do schools care so much? The answer can be found in audio of a school board meeting held on December 19, 2013 (relevant audio begins at 1:26:32 in the video.) The State Superintendent of Education was asked point blank about opting out of standardized test, and said quite clearly that there was no penalty for students who wished to opt out. In fact, he said it multiple times. This should settle any questions about whether parents are allowed to opt out, but what comes next reveals why schools are so eager to conceal this fact. Schools have participation quotas for their tests, meaning that a certain percentage of students have to take them, or else the school itself faces a penalty, typically in the form of funding. So schools are panicking that they may lose money and therefore are trying to bully students into taking endless tests that don’t actually educate people. It’s easy to blame school administrators for this, but the root of the problem is the tests themselves, along with the incentives and quotas handed down from the federal government. This further underscores the urgent need to sever the link between the federal incentives and education funding. and restore autonomy to state and local school systems. As a citizen of this country, I am continually appalled at the LOW level of knowledge of kids today, lack of knowledge of "how" our gov't works, etc. Just abysmal. In the 50's through the 70's we were at the top of the world knowledge wise & grade wise, now, we're doing well to be in the 30th % percentile worldwide...how did that happen? - Common Core. And w/the teachers available now & the rules (complete & utter BS) that they have to follow now (as opposed to doing much real teaching) that it's amazing that the kids get any info in their heads for more than 5 minutes. That's why we used to teach via repetition - it worked! Now kids think they have it after they've done it successfully 3 or 4 times in a week then are surprised that their test grade is crap. And that mental retention, doesn't, it just can't stick unless there's enough repetition - simple equation. After 20+ yrs as a Computer Engineer, I've gone to teaching kids and adults, because they need it. 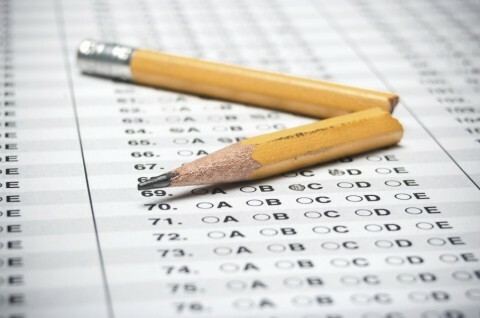 Most kids will NOT pass the SAT / ACT / ASVAB testing the first 3 times. Then they have to retain tutors (like myself) to tell them what to do to succeed, just amazing. The school systems are truly failing them & our country. There is no common sense anymore as to what works, what doesn't. Repetition works, it's been proven over the last couple of centuries in this country & much farther back than that...etc. The biggest part of the problem is governmental (maybe just mental) over reach. Gov't wants their hands in EVERYTHING. NO!! That's not the way this country is or should be, or was designed to be. I will agree that there should be common "standards", NOT COMMON CORE. There should be a convention of the top educators in each state, that come together to ensure that common curricula is the same throughout this country. And when I say common curricula, I do mean it, it's the level set for each grade & semester - all else, like advanced work, AP & Honors stuff, will be addressed both throughout the country & the colleges, but the level set, for each regular student regardless of state or part of the country "should be" the same. And no more crap of changing books - that work just fine, thank you! - every other year, just because Pearson & others need to fill their coffers. While Pearson does make a good product & the computer side is excellent, they bloat the prices, & etc., when it comes to public education. Let Teachers Teach, & let politicians get the heck outta the teaching field! How long will we the Citizen/taxpayer keep sending our education tax money to Washington, DC for bureaucrats to waste half of it and send the other half back to us to operate the schools. The only thing common about common core is the Federal Governments Common Goal is more DUMB DOWN EDUCATION. It is time for the States to take back their control of education. Like everything the Feds are involved in - it wastes tax money - it creates more jobs in DC and it ends up all screwed up. The whole education racket in DC is OUR EMPLOYEES out of control. Fire them all and keep 100% of the education tax money in the States.